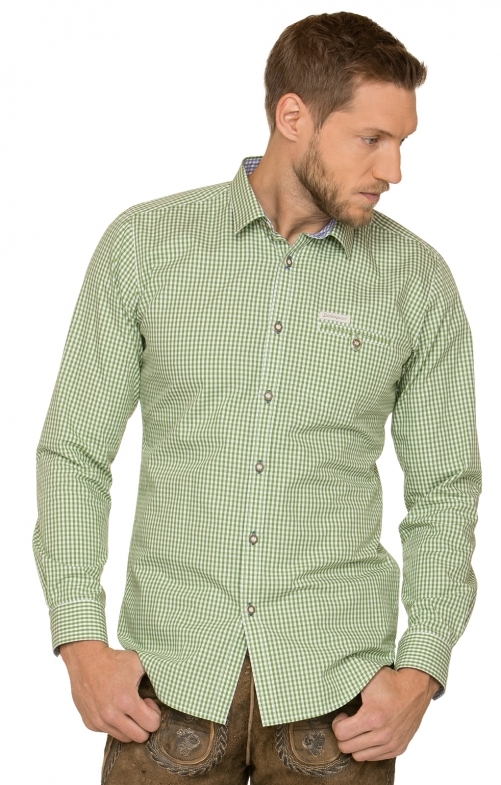 Traditional shirt Dave4 "Modern fit" for men from Stockerpoint in kiwi. The moderate, slim cut model made of pleasant cotton blend convinces with traditional details and the retro Vichy check. The stylish contrast in the collar and in the cuff underline the modern, traditional look. The Kent collar, as well as the rounded hem are timeless and the chest pocket complete the overall picture skilfully.